All eyes are on Brazil this week as the country welcomes the world to the 2014 FIFA World Cup and in two years, Rio de Janeiro will play host to the Summer Olympic Games. 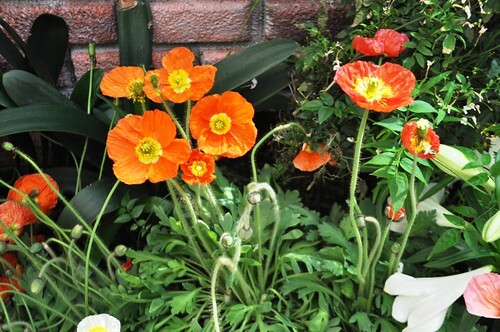 If you’re one of the estimated 3.7 million people traveling to Brazil, remember in all the thrilling excitement to take time to play it safe in Brazil. I’ve only visited Rio de Janeiro twice and have a trip to São Paulo planned for September but safety is always top of mind. It’s not that I’m a scaredy-cat, I just have a heightened state of awareness. 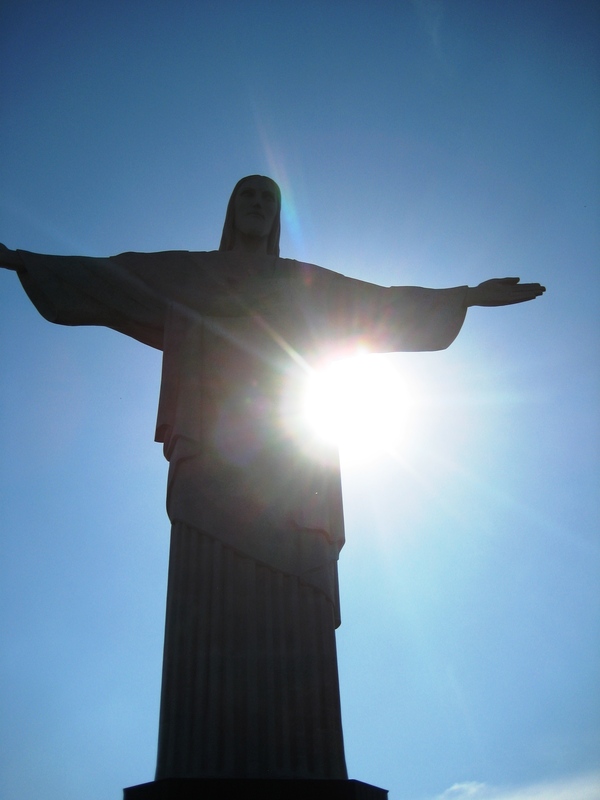 I shared how I stayed safe while traveling to Rio in this post. Being that we’re visual learners, I’m happy to share the following infographic from iJET International, an operational risk management company offering global travel, risk, and security consulting services. 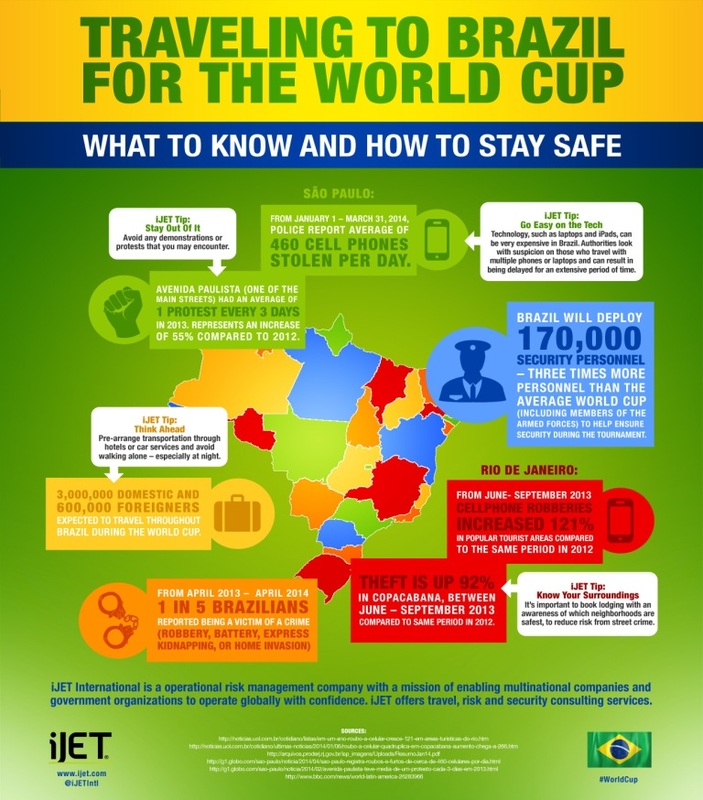 It outlines statistics and critical safety tips for World Cup travelers. Sharing this isn’t meant to scare you, just to inform you. Remember, crime has no address so travel with a plan. If you’re sharing the experience on your social media channels, remember to tag them with #WorldCup. And if you are traveling to Brazil, have a sugar-free caipirinha for me! Thanks for sharing this information, it’s very helpful in our everyday life.